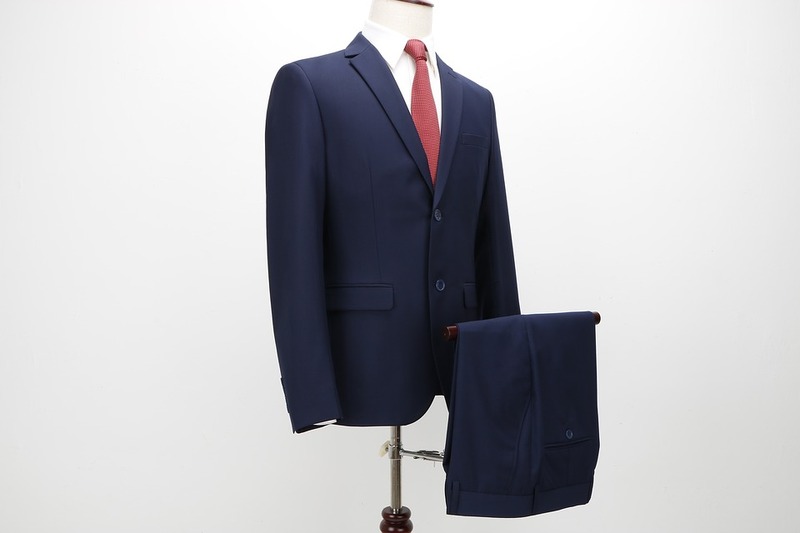 Men’s suits are designed using a variety of fabrics, only one of which is cotton. While cotton suits are a popular choice, you’ll also find suits available in wool, cashmere, silk, polyester, worsted and linen. In recent years, there’s been a growing demand for linen suits. Designed with linen fabric, it features certain characteristics that aren’t found in other suits. So, why should you choose a linen suit? Linen suits are available in a variety of colors, with something available to meet anyone’s personal style. This isn’t something that you’ll find with other suits. Linen suits, however, easily absorb dye, thereby allowing manufacturers to design them in a variety of colors. Whether you prefer a traditional black linen suit or a more summer-friendly white suit, you shouldn’t have a problem finding your desired color. You’ll probably discover that linen suits weigh less than suits made of other fabrics like wool and cotton. Linen is a relatively lightweight fabric, allowing for a superior level of comfort. Even when compared to a cotton suit of the same type, linen is lighter. And because weight plays an important role in a suit’s overall comfort, many men will agree that linen suits are more comfortable than cotton suits. Regardless, though, linen suits are incredibly lightweight. Linen suits aren’t just lightweight; they are also breathable. They allow your skin to breathe so that you don’t overheat when wearing them. Why is this necessary? Well, our bodies perspire (sweat) to regulate internal temperatures. When you become overheated, your body releases this heat by perspiring. The heat-filled moisture exits your body through the pores of your skin, at which point it’s evaporated into the air. If a suit isn’t breathable, moisture will remain on the surface of your skin rather than evaporating. A benefit of linen suits that’s often overlooked is the fabric’s natural ability to inhibit germs. Linen fabric has antibacterial properties, meaning it kills germs — some of them, at least — on contact. Wearing a linen suit won’t necessarily prevent you from catching the cold of flu, but you can rest assured knowing that it’s able to kill germs. Just remember to use other safeguards to protect yourself from transmissible illness. Washing your hands with warm water and soap, for example, is one of the best things you can do to prevent getting sick. There’s also evidence suggesting that men and women who get eight hours of high-quality sleep at night are less likely to get sick than their counterparts who get less than eight hours of sleep at night. Most fabrics become weaker when wet — but not linen. Studies have shown that linen actually becomes stronger when wet. This phenomenon is partly attributed to the fact that linen is absorbent. As the fabric absorbs moisture, the moisture creates a stronger texture that’s able to withstand significant stress and pressure. While you should still use caution to avoid getting your linen suit soaked in the first place, you don’t have to worry about it sustaining damage if this happen. The fabric’s ability to gain strength when wet will protect it from damage. A linen suit will keep you cool in several ways. First, it’s lightweight and breathable. As discussed earlier, these properties make linen suits an excellent choice for the summer and spring months, as they keep you cool and comfortable. Second, linen is able to reflect more sunlight — and solar heat — than other fabrics. If you’re planning to spend the afternoon outdoors and are searching for the perfect suit to wear, you can’t go wrong with linen for this very reason. And third, linen suits allow your body to radiate more heat. In other words, wearing a linen suit allows you to body to release heat, thereby cooling itself. If you’re going to invest in a new suit, you’ll need to know how to maintain it. All suits require maintenance, and linen suits are no exception. The good news is that linen suits require very little time or work to maintain. You can check the care label — typically found inside the jacket collar or breast pocket — but most linen suits can be dry cleaned. And if you find a wrinkle or crease in your suit, you can usually remove it using an iron on the low heat setting. Other than that, there’s not much else required in terms of maintenance. Just remember to follow the manufacturer’s instructions as described on the linen suit’s care label. You won’t have to take out a second mortgage on your home to buy a linen suit. Linen suits are relatively inexpensive when compared to suits made of other fabrics. This is in stark contrast to silk suits, which often cost thousands of dollars. If you’re on a budget and not looking to spend on a fortune, perhaps linen is the right choice. This is just one more reason why so many men are updating their wardrobe with linen suits. Finally, you can find linen suits available in custom sizing. While most stores sell standard, pre-made sizes, StudioSuits offer custom sizing on all suits, including linen suits. When ordering, you’ll have the option to specify your body measurements, which we’ll use to customize your linen suit so that it fits just right. 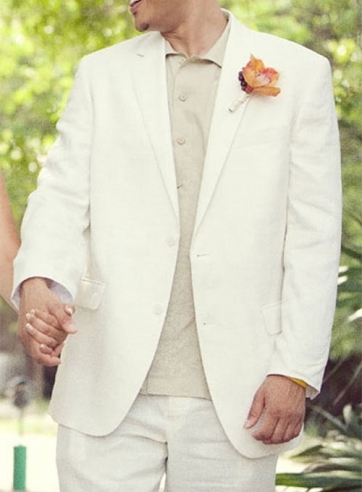 There’s no easier way to get the perfect fit than by ordering your linen suit from StudioSuits. You tell us your measurements, and we’ll use those measurements to create the perfect linen suit. Linen is just one of many fabrics in which men’s suits are made. As revealed here, however, it offers several benefits. To determine whether or not it’s right for, you consider when and how you’ll be wearing it. Generally speaking, most men prefer to wear linen suits in the spring, summer or fall months, while opting for a heavier fabric during winter.